When staying connected and entertained is at the top of your list, the 2017 Jaguar F-PACE is the vehicle to choose. With amazing sound and all the innovation you need at your fingertips, this luxury SUV is the right choice for Holmdel drivers. Jaguar models are known for their innovation in infotainment, and the Jaguar F-PACE is no exception. The InControl® Touch™ system comes standard on this model and features an 8-inch touchscreen, integrated text to voice capabilities, Bluetooth, navigation, climate control, and so much more. The InControl Touch Pro™ option kicks things up a bit by giving you a little bit extra. 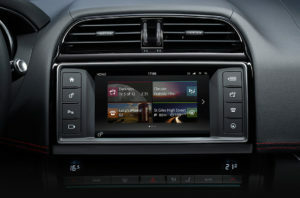 This model offers everything found in the traditional InControl Touch system but also increases the screen size to 10.2 inches and improves the navigation. The InControl systems are not just about entertainment, though. They also offer additional perks when you need them. The InControl Protect™ feature can automatically alert first responders to your location and needs if you’re ever in a collision. In addition, you also have the capability to contact them yourself when in need. The Jaguar Roadside Assistance is also easy to connect with via InControl Protect, so you can receive the car care you need 24/7. InControl Remote™ also enhances the way you connect with your vehicle. Even when not driving, this feature allows you to stay connected to your vehicle through your smartphone. You can remotely lock/unlock your vehicle, remotely start/stop your vehicle, and even access driving journeys when necessary. For those Holmdel drivers wanting to stay connected, the InControl Wi-Fi creates a 3G hotspot, so you and your passengers don’t have to miss anything while on the go. Driving in Colts Neck is more fun with some tunes, and the Jaguar F-PACE offers audio options you’ll love. The standard Jaguar system brings sound to the forefront for an amazing experience, or you can enhance this with a Meridian® sound system that delivers either 380 watts or 825 watts for concert quality sound. Rumson drivers love their technology, and the 2017 Jaguar F-PACE will not disappoint in this category. 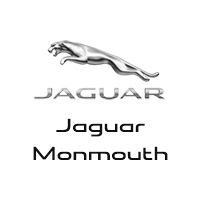 Visit Jaguar Monmouth today at 807 NJ-35 in Ocean, or contact us online or by phone at (877) 672-8680 to see our inventory, start an application, or learn more.